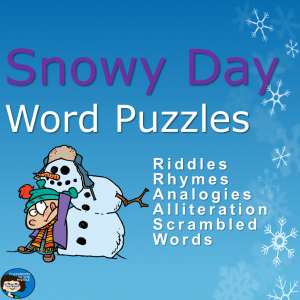 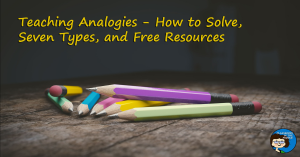 Understanding how to solve analogies is an important language arts skill, but since analogies are basically little puzzles, they can also be a fun activity. 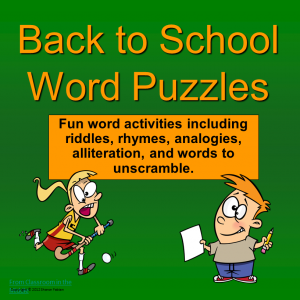 Kids who have the skills to solve a variety of types of analogy have an advantage when it comes to reading and understanding figurative language as well as vocabulary. 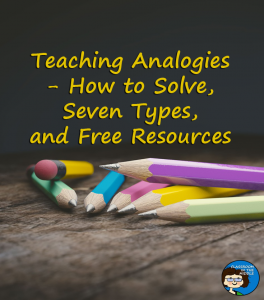 As the end of the school year approaches, however, the more important point might be that analogies can be the basis for a fun whole-class activity! 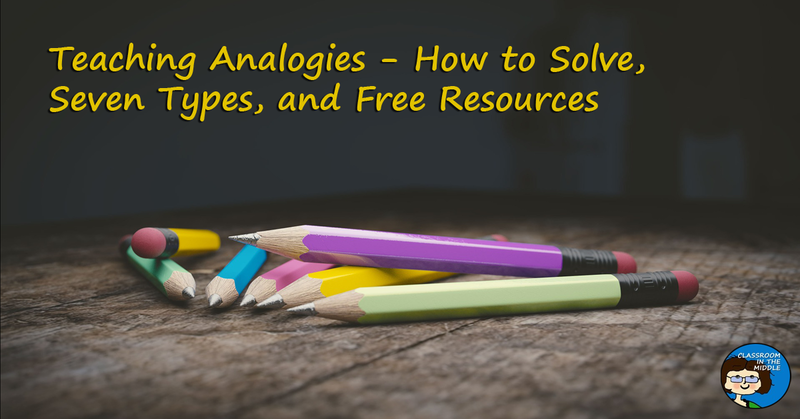 Analogy solving can be a part of a big team-challenge game, or a quick whiteboard activity to fill in a few restless minutes. 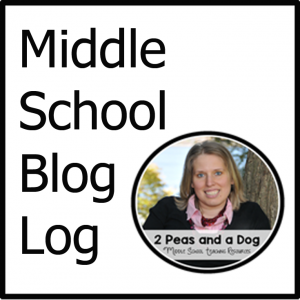 Here are three articles that I’ve posted previously with lots of helpful information. 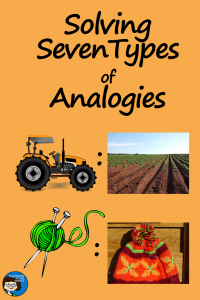 This post includes handy explanations and examples of seven common types of analogies that you can share with your kids to add a little detail to their analogy-solving tool set. 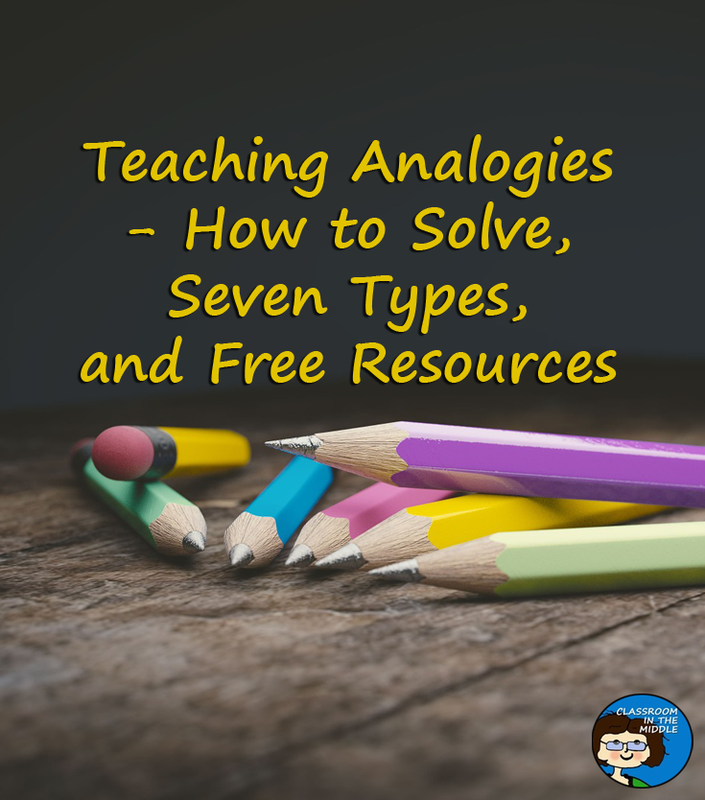 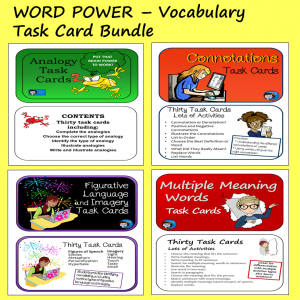 Here are a few teaching ideas to help kids who might not quite have the idea of what analogies are all about yet, or just for review. 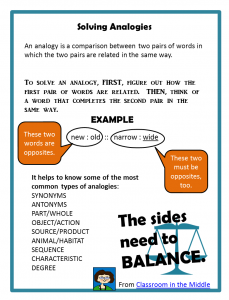 This is a little poster explaining how to solve analogies, for posting in the classroom or for students’ notebooks. 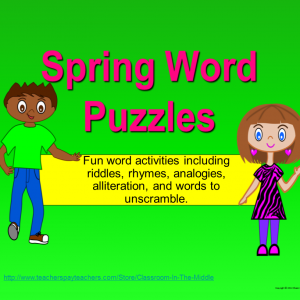 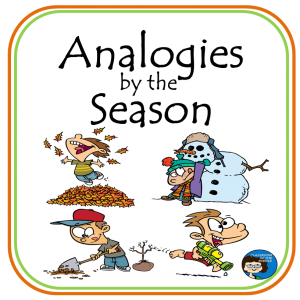 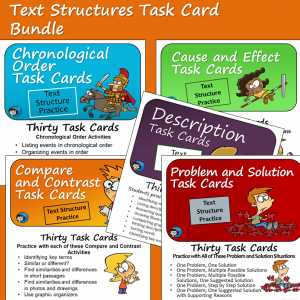 This set of four activity sheets, one for each season and all about analogies, is a free resource at Classroom in the Middle’s TPT store.